Click the Book Now button and secure your dream Hot Rod car for your special event! Browse our Gallery of Photos… Be sure to send us your photos with our great cars! Save $290… Free Wine…. Free Chocolates… What could be better! Click through for details. 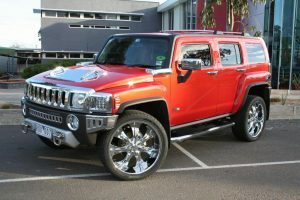 DR ROD Hot Rod Hire offers luxury vehicles that were considered the limousines of their era. The 1928 Ford Tourers, 1934 Ford Sedan and 1934 Chev Sedan and Tudor come with professional, courteous and friendly chauffeurs who become discretely involved and are always willing to help when those special moments require attention. All vehicles are fitted with CB radios to ensure no one is ever late or lost. The vehicles ensure you make an impacting arrival at your wedding, promising a day you’ll never forget. The vehicles may be viewed by prior appointment at the company’s showroom. DR ROD is a member of the Special Vehicle Hire Association.